When a mysterious ship instantaneously appears on the grounds of the US Capitol in Washington, freelance picture reporter Cliff Sutherland is there to see it. Two days later, two passengers from the ship emerge: a godlike being in human form and an eight-foot robot made of green metal. Are the alien and his robot here to help or hinder humankind? Find out the surprising answer in the original story that inspired the classic 1951 science fiction movie and its 2008 remake starring Keanu Reeves, The Day the Earth Stood Still. This is a must-read for any science fiction lover, for, as The Encyclopedia of Science Fiction says, "the film lost the story's ironic ending." Now listeners can discover firsthand what Hollywood left out in this best-known novella by the legendary 1930s idea man Harry Bates. 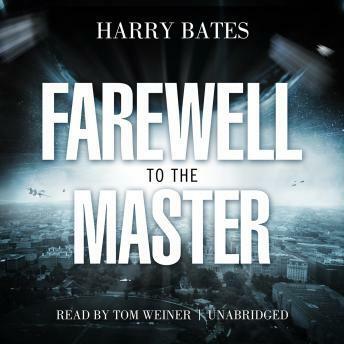 Longtime science fiction fans rank Farewell to the Master and its creator among the greats.